Let’s unpack two points from that statement. You start by asking the questions about the data and manage the extremities – but how? You won’t look at every invoice and build a top N and bottom N list for each dimension. That would take too long. You could use a spreadsheet, get some data imported, create some pivots. It’s a starting point but will take your time and spreadsheets make you do all the work. There is a better way and that is with a program specifically designed to empower you to ask the questions without having to program the answers. 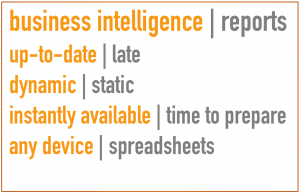 Self Service Business Intelligence. Business Intelligence tools have become very inexpensive because of a significant pivot in how software is provided – It’s delivered on the Cloud and you pay for it as you go. On the cloud the individual Installation, implementation and hardware costs have been removed. You can sign up for a free trial and see if the software meets your needs without spending a cent. Often you teach yourself by tutorials and videos, largely eliminating implementation costs. With such an enormous pool of opportunities, integrated Add-On products that work with them can be provided as an inexpensive subscription service. The Accounting software packages include simple reports and you may say why do I need Business Intelligence? 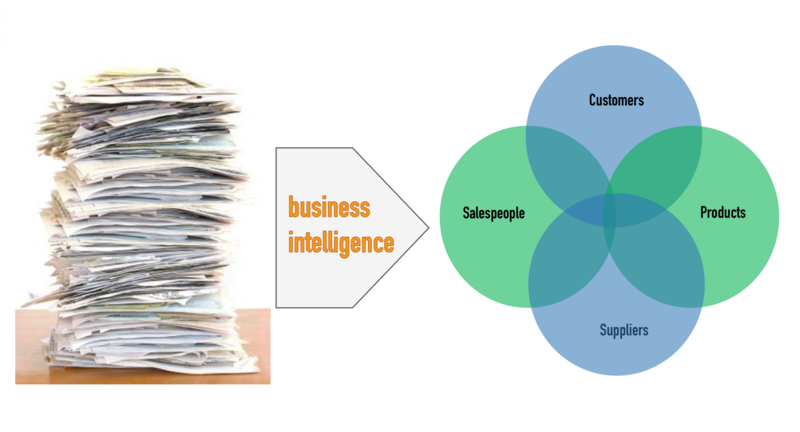 Because with BI you will find the outliers faster, you can drill down and get the facts and take action. 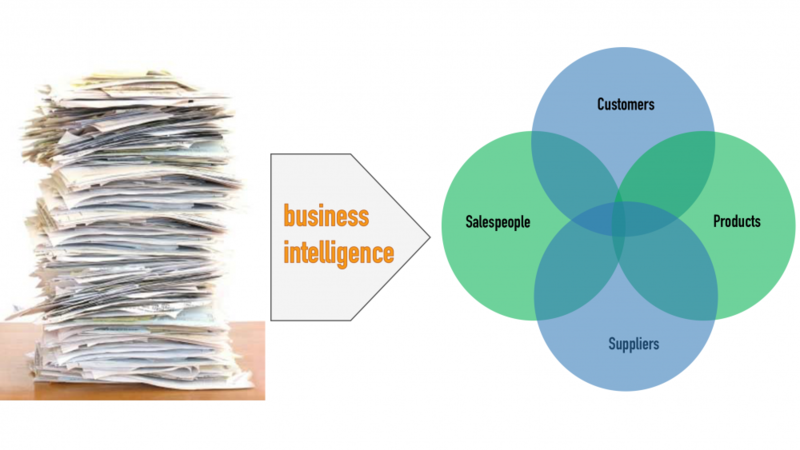 How can I test drive Business Intelligence ? If you google “Reporting Add-ons for MYOB” and scroll past the paid adverts you will be able to read about each product and usually be able to get a free trial. Alternatively use this shortcut Evaluating Bi4Cloud where you can try out BI4Cloud for yourself. If you’re not quite ready to try our free trial you can read how some of our Clients and Advisors have been helped with BI4cloud in their business.